OPEC has done it again. Talk of a potential deal to freeze output helped push oil close to $50 a barrel and prompted money managers to cut bets on falling prices by the most ever. West Texas Intermediate, the U.S. benchmark, went from a bear to a bull market in less than three weeks. Hedge funds trimmed their short position in WTI by 56,907 futures and options during the week ended Aug. 16, the most in data going back to 2006, according to the Commodity Futures Trading Commission. Futures rose 8.9 percent to $46.58 a barrel in the report week and traded at $47.82 at 7:04 a.m. in London on Monday. WTI is up more than 20 percent from its Aug. 2 low, meeting the common definition of a bull market. 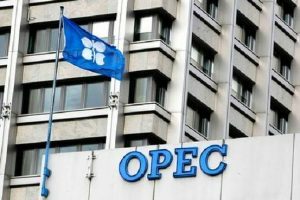 The Organization of Petroleum Exporting Countries plans to hold informal talks to discuss the market at the International Energy Forum next month in Algiers. Russian Energy Minister Alexander Novak said that the nation was open to discussing a freeze. Talks to implement a production freeze collapsed in April when Saudi Arabia said it wouldn’t take part without Iranian participation. Iran was restoring exports after sanctions over its nuclear program were lifted in January. Saudi Arabia, Iran, Iraq and non-member Russia are producing at, or close to, maximum capacity, Khelil said in a Bloomberg Television interview on Aug. 17. Saudi Arabia told OPEC that its production rose to an all-time high of 10.67 million barrels a day in July, according to a report from the group. Money managers’ short position in WTI dropped to 163,232 futures and options. Longs, or bets on rising prices, increased 0.1 percent, while net longs advanced 56 percent, the most since July 2010. In other markets, net-bearish bets on gasoline climbed 54 percent to 1,970 contracts. Gasoline futures rose 5.7 percent in the report week. Net-long wagers on U.S. ultra-low sulfur diesel increased more than fivefold to 10,835 contracts. Futures advanced 9.8 percent. The EIA increased its domestic output forecast for 2017 to 8.31 million barrels a day from 8.2 million projected in July, according to its monthly Short-Term Energy Outlook released 10 August.